Homage to you were wise even at that time. First you descended from Tushita heaven. In Rajgriha you entered your mother’s womb. In Lumbini grove you, Muni, were born. Homage to you Bhagawan, god of gods! In the place you were nutured by 32 nurses. In the kingdom of the Shakyas you played sports as a youth. 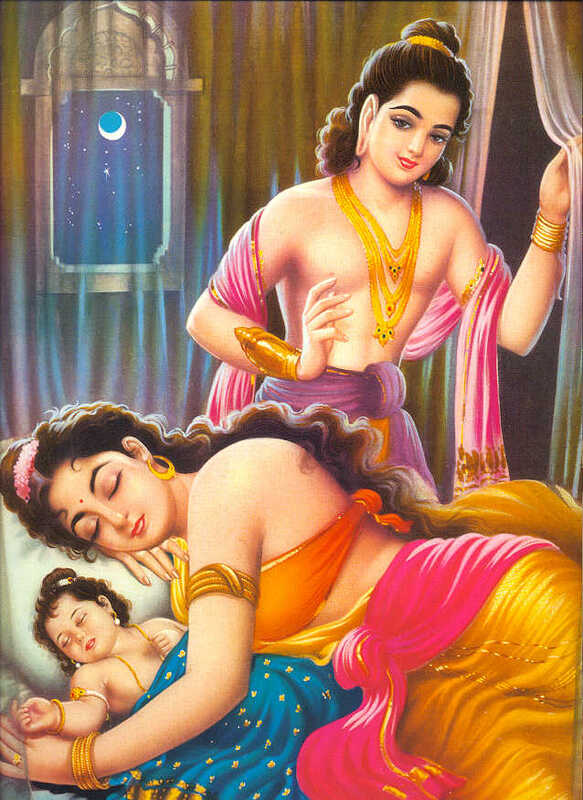 In Kapilavasthu you wedded Satsoma. Homage to you who are unequaled in the three worlds! At the four gates of the kingdom you displayed disenchantment. In the presence of the Vishiddha Stupa you had your hair cut. On the banks of the Niranjana River you practiced austerities. Homage to you, free from the faults of the two obscurations! In Rajagriha you tamed a mad elephant. In Vaishali a monkey offered you honey. 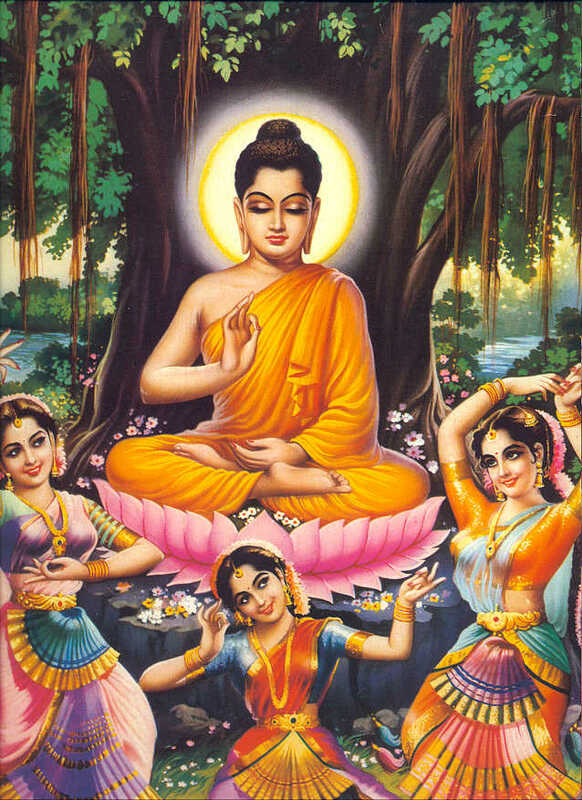 In Magadha you, Muni, achieved complete Buddhahood. Homage to you ablaze with all-knowing wisdom! In Varanasi you turned the wheel of Dharma. In Jati Grove you displayed miracles. In Kushinara you attained Parinirvana. Homage to you who has a heart like space! 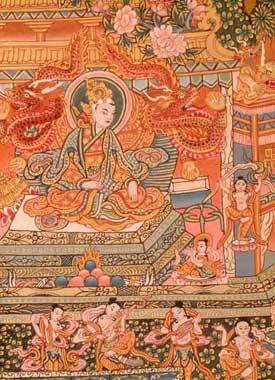 The Lord of the Dharma, in praise of his acts. Become equal to that of the Sugatas. 1 – For Tibetan and transliteration(Tibetan) with English translation of this praise click here! 2 – And for PDF file on this, you can download by clicking over here! 3 – Another PDF file click here! 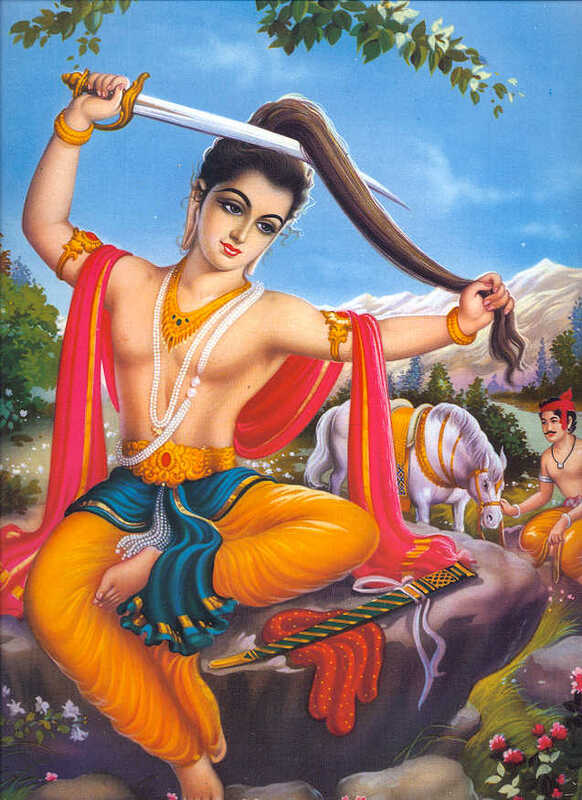 Our teacher appeared in the beautiful, divine Tusita heaven as the son of the gods, the holy Svetaketu. Due to the power of his merits and the blessings of Buddhas, he heard from the musical instruments of the gods verses, inspired by such exhortation, he placed his jewel crown on Maitreya, whom he appointed regent, in accordance with the Vedic tradition of the Brahmins, he descended from the heaven in the form of an elephant and entered into his mother’s womb. 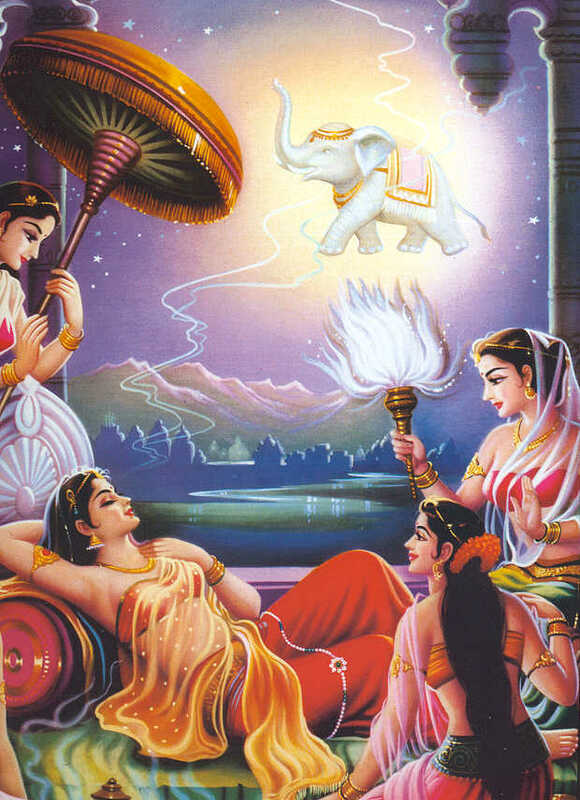 In the form of a young, ash-gray elephant, as described in the Veda of the Brahmans, the bodhisattva entered the womb of his mother Mayadevi while she was observing a purifactory fast. 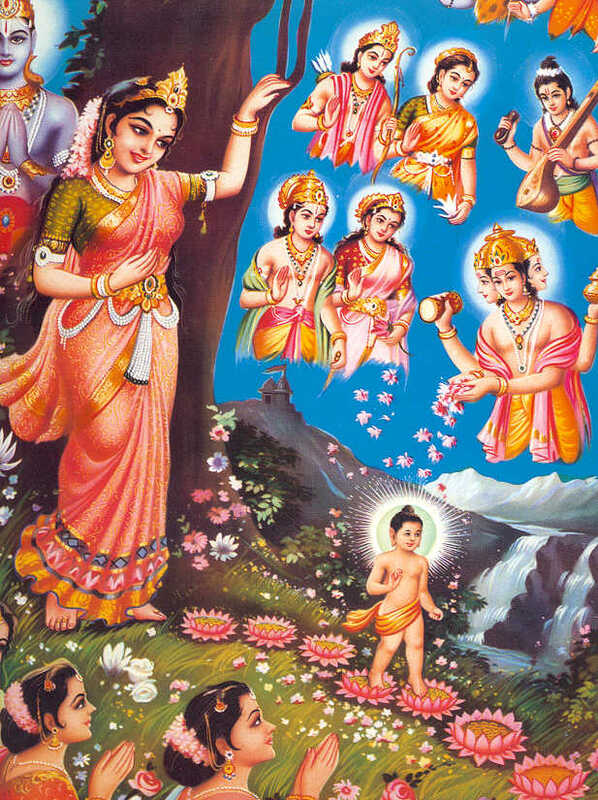 The time came for the Lumbini Grove to receive the merit of the world, his body, enlightened in twenty ways and lustrous, emerged from his mother’s right side. Then, as a son of the royal family is anointed. He joined the school to learn, during which time he studied and completely mastered many arts, like writing, mathematics arts, sports and such other fields of learning pursued in the world. In all these fields, he excelled his teachers. At the age of seventeen, displaying matchless skills of sports, he defeated all opponents and win Yashodara and also Bedna and Ridagkye, th three chief queens, who were accompanied by 60,000 beautiful maidens. With them he enjoyed the sensual pleasures as if they were illusory until the age of twenty-nine. For consolation he went all around the city with Chandaka as his charioteer, he saw old age, sickness, death and a monk in the four directions and showed his unhappiness with the worldly life. Reality of suffering, impermanence and changing and pursued by the suffering of pain itself, he vowed to renounce the world. 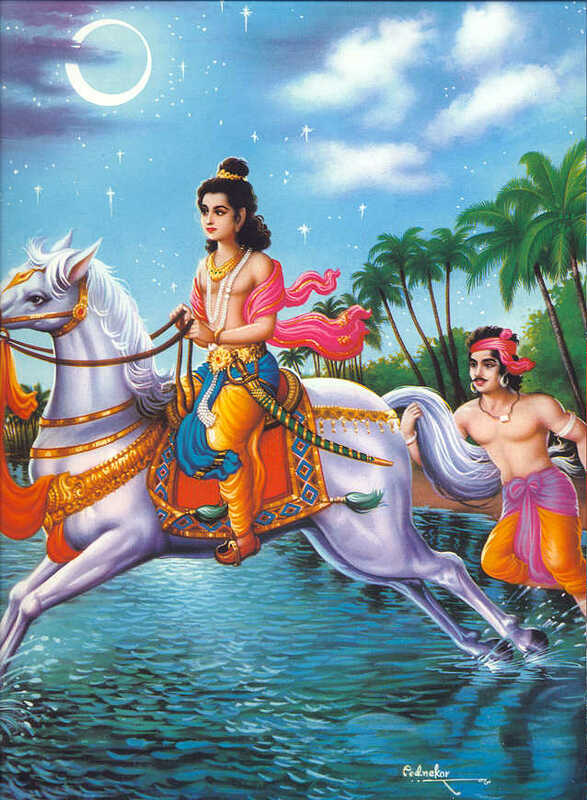 On the final night he skillfully sought permission from his father to become a renunciation and riding upon Kanthaka the prince assisted by the gods, he arrived to the banks of Yiyong Den river in Pongbyed region, which lay 12 leagues to the east of Kapilavastu. He returned the horse and his roya clothes with Channa. Then, near the Sacred Stupa he cut of his own hair, put on saffron robes and became a self-ordained monk. 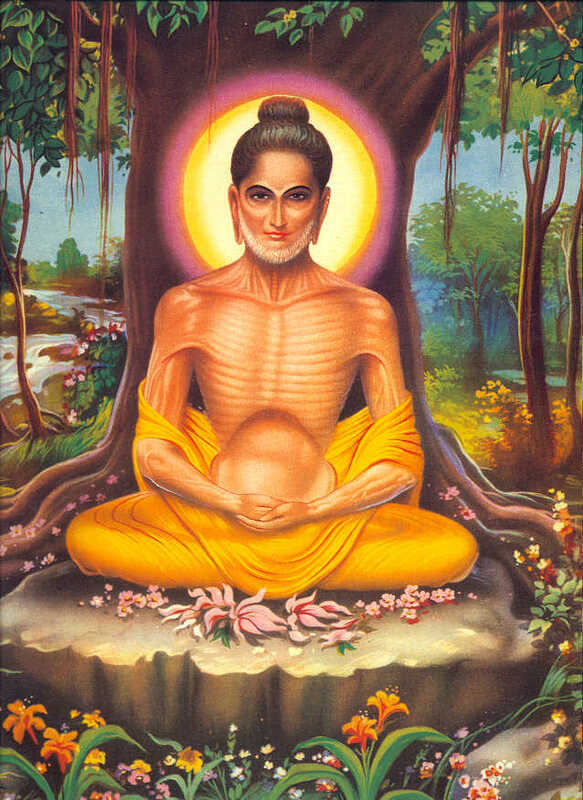 In Vaisali and Rajagrha, under the rationalist teachers Aradakalama and Udraka, he perfected the absorptive meditaion of “Nothing at all or Nothing Whatsoover” and “Peak of existence”, and he attained states as high as those of his masters. But he was not still not satisfy with his attainment so, he accompanied by the five followers, he preserved in ascetic contemplation for six years on the bank of the wide Nairanjana River. 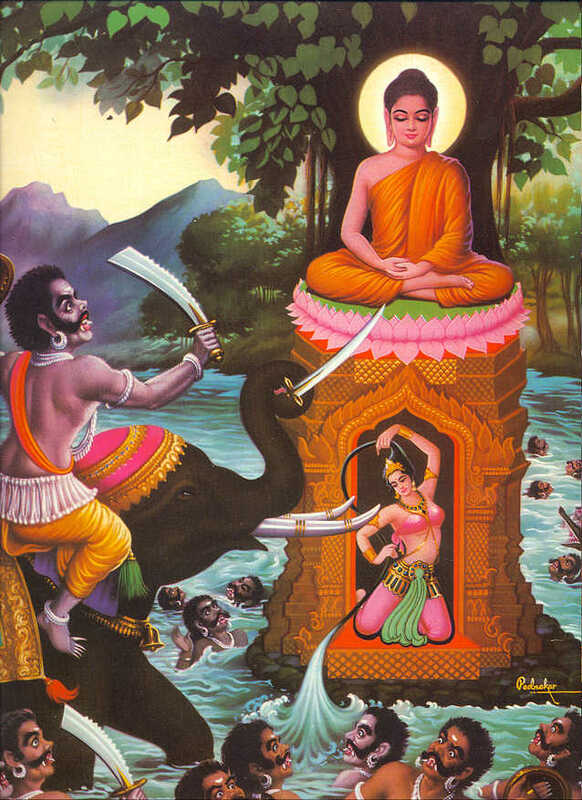 In the evening twilight he thought that it is not proper for him to attain Buddhahood without defeating the host of Maras and composed himself in the contemplation which defeats Mara’s host, forth from between his eyes rays of light across the three-fold thousand world systems in order to destroy the assembly of Maras. The Mara took the forms of all kind of wrathful and vile figures in the world, they roared to create fear, however the Bodhisattva was without a slight sense of fear. The weapons flung against him were also transformed into rain and flowers. 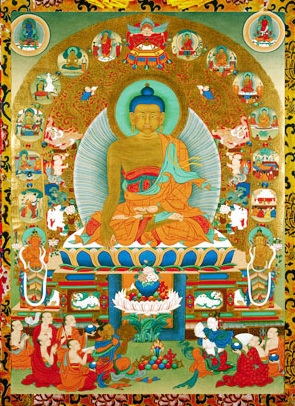 The Mara rejected that the Buddha practiced the path leading to enlightenment. Then the Bodhisattva struck the earth with his right hand, which had been formed by a hundred meritorious acts and the goddess if earth showed half of her body above the ground, and the Mara entered into the state of grief. At that time, the gods of the Pure Places rebuked the Evil one in sixteen different ways and the tree gods praised the Bodhisattva in sixteen different ways. In this manner, he was victorious in the battle against the evil forces and this got the title, ‘The Victor’. By the midnight, he actualized the fourth stage of concentration; he investigated the nature of dependent origination both in successive and reverse orders and attained the three kinds of knowledge. In the last hour of the night, when it was about time to beat the waking drum, he fully realized the four truths and attained perfectly realized Buddha. 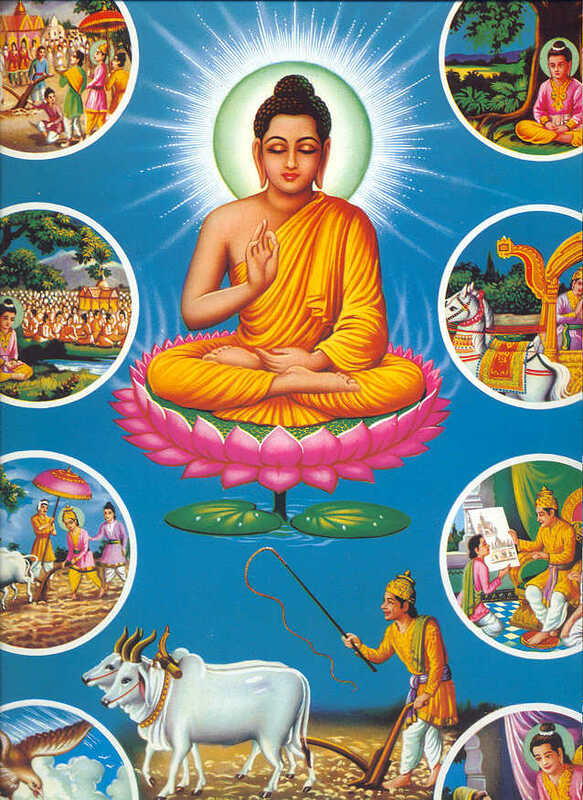 On the Fourth Day of the Sixth Month, Lord Buddha considered the venue for turning the Wheel of Dharma. He realized that the Deer Park was the place used by the three former Buddhas to turn the Dharma Wheel. There appeared a thousand thrones. 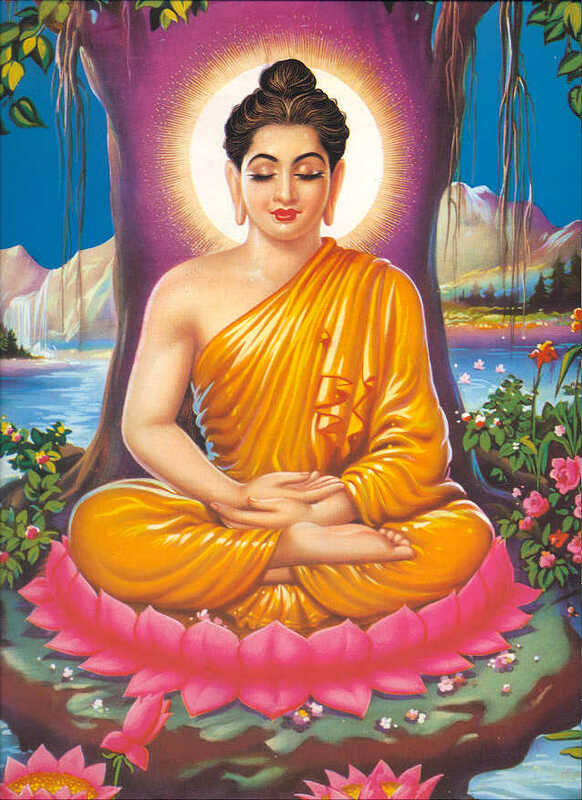 The Buddha circumambulated the first three thrones and took up his seat on the fourth throne in cross-legged posture. Not even a space of a hair’s breadth on the Great Thousand World Systems was left out by the gathering. 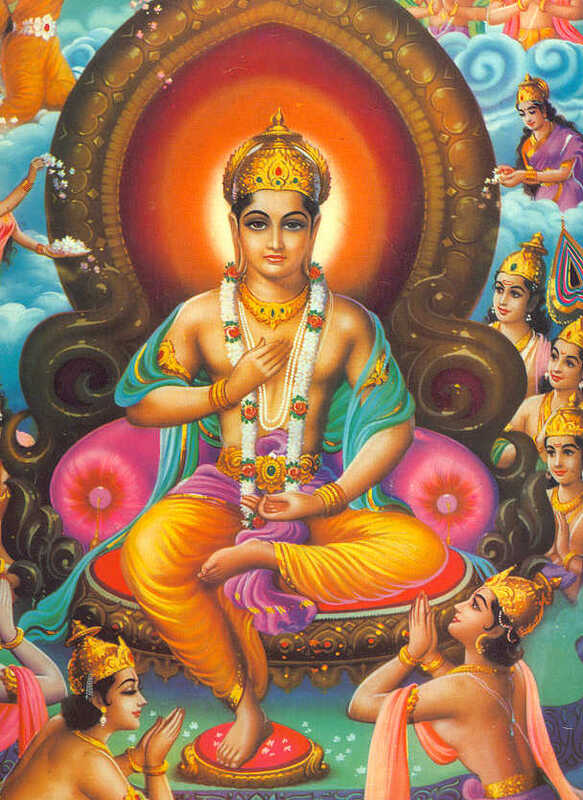 Then, Lord Brahma bowed down and offered the golden wheel with one thousand spokes, made from gold extracted from the Dzambu River, which was also accepted by the three former conquerors, and requested to set in motion the Wheel of Dharma. At the same time, two Ruru deer of golden colour came out of the forest and knelt down staring one-pointedly at the tip of the golden wheel. 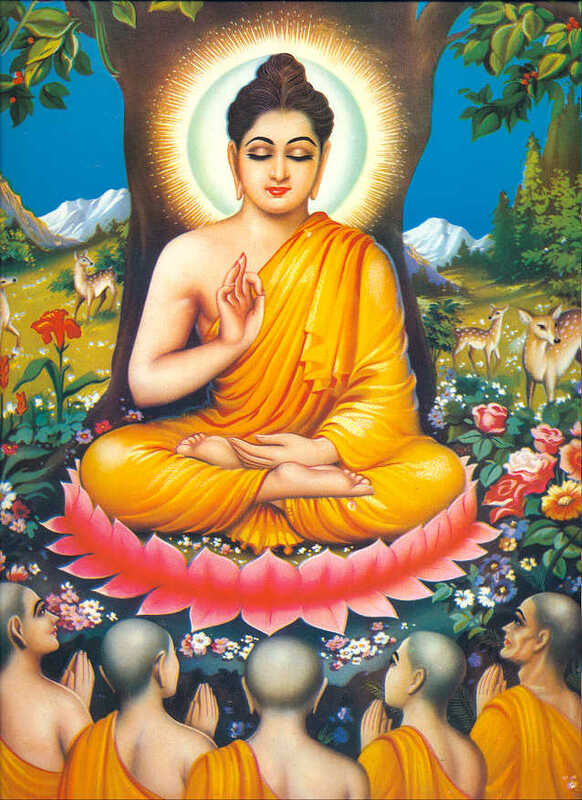 The Buddha then observed the silence of the exalted beings in the morning, narrated inspirational allegories at mid-day and in the afternoon, called the Five Disciples and turned the Dharma Wheel in twelve aspects by repeating the Four Noble Truths three times each. 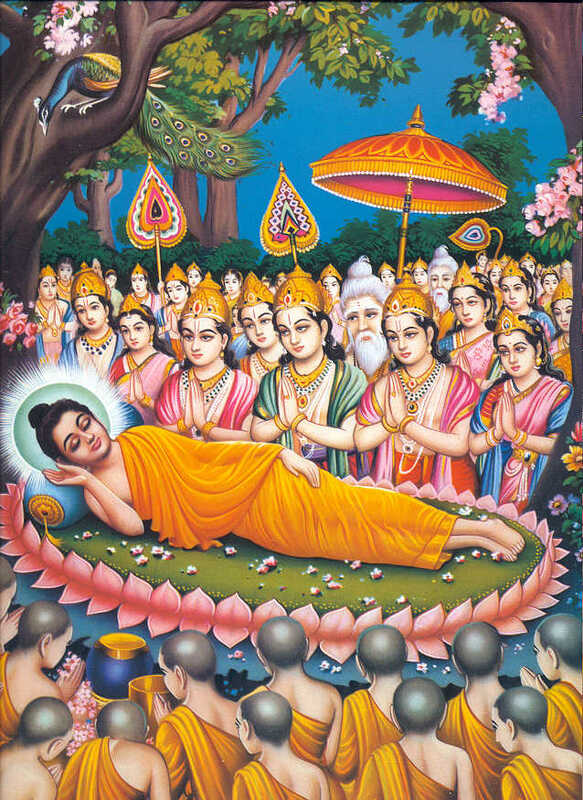 At Vaishali due to the six non-Buddhist scholars, the Teacher demonstrated great miracles, and finally displayed the deed of entering into the Mahaparinirvana. Ananda failed to request the teacher to live eternally, he could not hear anything and re remained silent as his ears were obstructed by the devils. But the wicked devil supplicated the Lord to pass away and the Lord agreed to attain the Mahaparinirvana after three months and at Kushinagar, the Tathagata entered into the meditative absorptions of the four concentrations of the form realm, the four concentrations of the formless realm successively and in reverse order remaining in equanimity. 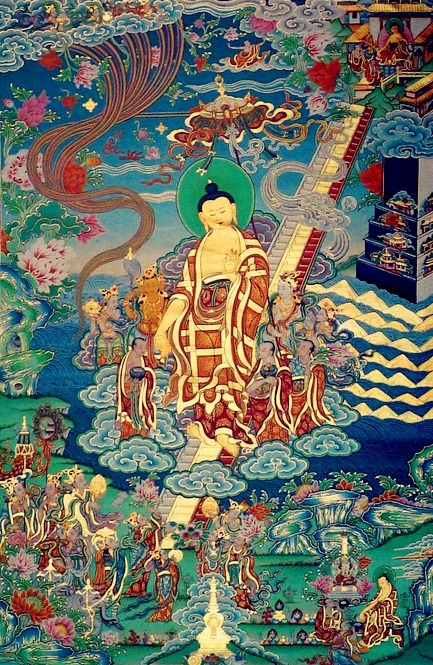 Consequently he entered into the four concentrations of the form realms and finally went beyond the sufferings of samsara or entered Mahaparinirvana. Can we really go to all this places n make a visit on pilgrimage. How long will we take to go n visit all this places. Is this places only in nepal and india or we have to go other nation too… Plz help me to know better. Yes you can visit to all this places, Lumbini is located in Nepal and rest all are in India.